Israeli military forces neutralized two Palestinian Authority terrorists who opened fire and hurled an explosive device at IDF security forces Monday night at the Gilboa crossing, north of Jenin. IDF soldiers returned fire at the terrorists. One of the attackers was killed; the second was seriously injured. According to Hatzalah Without Borders, the second terrorist was evacuated by the Red Crescent medical service to a hospital in Jenin. 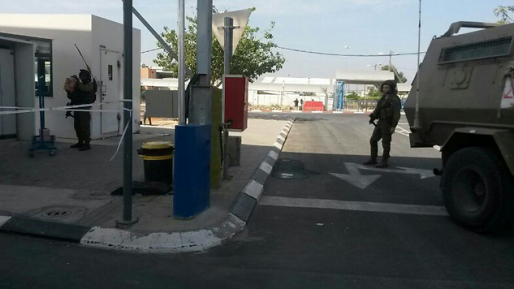 BREAKING: 2 Palestinians hurled an explosive device near the Jalamah Crossing, north of Jenin. In response, our troops fired towards the suspects. Six days ago, IDF soldiers thwarted an attempt by terrorists who tried to smuggle a bomb through the same crossing.